Either For 22mm or 28mm Bars As Per Title. Handlebar clamp adjustable height 30,35,40,45mm. Handlebar and Related. NOTE: Not for models with gauge-mount indicator light mount attached to the handlebar clamp. HANDLEBAR CLAMP. 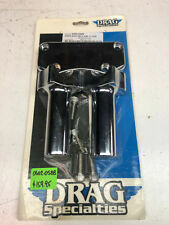 Drag Specialties Black Clutch Lever Bracket for Harley-Davidson 1996 Up Listed. YAMAHA TRACER 700. Handlebar Bag. 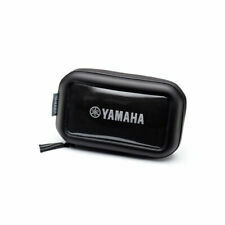 Handlebar bag can also be fitted on your belt. To be fitted on cross bar of handlebar. Features the Yamaha logo, with bodyboard leash cord. Carb Repair Kits. Carb Diaphragm. Carb Air Cut Off valves. Float Bowl Gaskets (L). Other Gaskets. Top End Gasket Kits (L). Complete Gasket Kits (L). Top End Gaskets Big Bore Kit. ForHonda CRF1000L Africa Twin 2016-2018. 1 Pair x Handlebar Risers with Bolts. -- Surface Finish:CNC Anodized. --CNC Machined With Aluminum, Incredibly Light And Strong. -- Rise up40mm ,20m Backward. -- Color :Black. Made in house here at Zen Overland.Made in the UK. Also fits the Garmin Zumo 660 Cradle. This mount will not work with the PHDS handlebar damping system (this is an optional extra KTM PowerPart and costs £150 . ). T hese high quality risers are ideal if you just want to slightly raise your handlebars. Handlebar Risers for 28mm Handlebars / Fat Bars. 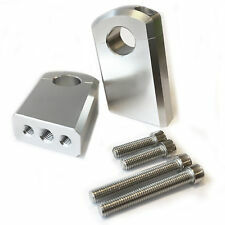 CNC billet aluminium handlebar risers. These risers are not homologated / E-marked. 2008-2011 Kawasaki Ninja ZZR 1400. -- Provide a1" (25mm) rise in the handlebar's height. 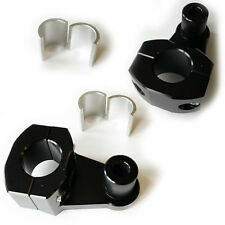 1 Pair x Handlebar Risers. 2006-2018 Kawasaki Ninja ZX-14R (ABS and NON-ABS). -- Surface Finish:CNC Anodized. --CNC Machined WithAluminum, Incredibly Light And Strong. R1200RT R1250RT 2019 2018 2017 2016 2015 2014 Handlebar Riser Kit 1.625"
Fits all models from 2014 to 2019. This kit will allow you to install the risers without having to remove the harness connectors or take apart the electrical components. These risers bring the handlebars on the R1200/1250RT up and back to improve comfort and and turning. Yamaha Mt09 Bar Risers & Clamps. Dispatched with Royal Mail 2nd Class. We are Yamaha Breakers, run by bikers for bikers and based in Bradford, West Yorkshire, England. We are a Parts Centre specialising in yamaha new and used bike parts. Scottish highlands and offshore HS1-9, IV41-51, IV54-56, KA27-KA28, KW15-17, PA20, PA41-49, PA62-76, PH42-44, ZE1-3 are £40 extra. Fits XL, '91-'05 Dyna, and FXR models with 39mm forks. (Does not fit FXDWG.). Feel free to ask as much as you like. Although we have made every effort to confirm the above information is correct, it is possible that there are other examples of this part for the model and years stated. Universal Conversion to oversize bars. Allows you to change from standard bars (22.2mm) to oversize bars (28.6mm). Selling this mint Aprilia Dorsoduro SMV 750 SMV750 (1) 16' Handle Bar Handlebar Risers Clamp. Condition is Used but unmarked with Aprilia Drcal attached.. Other Dorsoduro bits available ie Engine , Seing Arm , casings etc . Dispatched with Royal Mail 1st Class.Any questions please ask.. Probably the most affordable way to make your Ducati Supersport more comfortable! These clever adjustable handlebar tubes made by Ducabike provide 10 degrees of adjustability to help reduce hand strain, numbness and fatigue, specifically designed for your Ducati Supersport motorcycle. 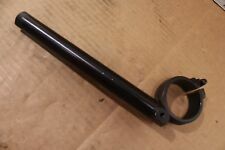 Handlebar clamp adjustable height 30,35,40,45mm. Photos For Illustration Purposes Only. Best Pricing. Either For 22mm or 28mm Bars As Per Title. Off an 89 Sportster , the top clamp is new and the bottom one oem Please look at the pictures well . PART WILL FITYAMAHA XS750S 1978-1979, XS750 1977-1978, XS850 1980. DONOR BIKE IS AN ABANDONED SINGLE SEAT CUSTOM WITH c.23,000 RECORDED MILES. CASH ON COLLECTION IS GOOD TOO. We value our good reputation. High-quality handlebar risers that replace the originals. HANDLE BAR RISERS. 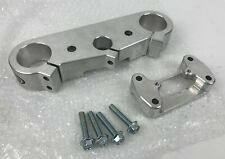 GENUINE YAMAHA TRACER900 BILLET. PN55900109, 55900116, 55900110 (top clamp left and right risers). 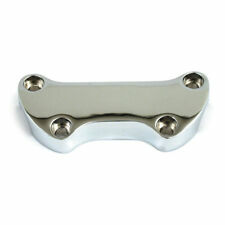 Fits a variety of Softail, Dyna, Sportster and Touring models equipped with 1" 1/4 bars. Mainland UK only. Construction: Investment-cast stainless steel Fitment: Our Dog Bone riser clamp retrofits to Biltwell Slimline risers to reduce flex between the risers when mounted on the rubber isolators on H-D triple trees. Such sponginess is especially prevalent with tall handlebars. If you currently run Biltwell Slimline risers with tall bars, consider our Dog Bone upgrade to tighten up the cockpit on your motorcycle. Details: This product only fits Biltwell Slimline risers. Not designed or intended for any other application. NOTE: top clamp only. All listed parts have been professionally removed from a complete, quality used motorcycle. Each item has been tested, cleaned, prepared & photographed by our fully trained & qualified team. Trading since 2004, we are constantly expanding and have motorcycles arriving on a daily basis. 2016 Keeway SUPERLIGHT Handlebar RisersHandlebar risers: in good useable condition. Anywhere other than the mainland UK. Isle of Wight. Northern Ireland. PH16-PH26 / PH30-PH41 / PH49-PH50. PA21-PA38 / PA80. 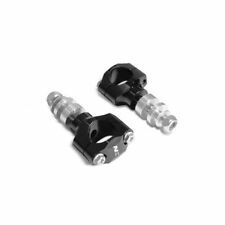 Handlebar Riser Kit 1-1/8" Bar Risers 28mm Adapter For KTM 1050 1090 1190 1290 ADV/GT. Rise Up 30mm, Moves Back 25mm. 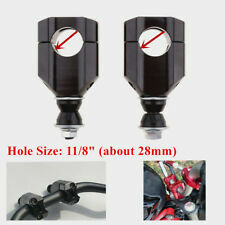 2 x Handlebar Risers. 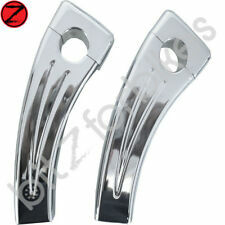 Compatible with 1-1/8" (28.6mm) handlebars, Fits for KTM 1050 1090 1190 1290 Adventure models. (In Spain Gran Canaria will not be a part of mainland). YAMAHA XVS1100 DRAGSTAR 2001. HANDLE BARS. Ireland, Isle of Man, Isle of Wight, Jersey. This is a UK sale. Cash On Collection: No Problem! Every effort is made to give the maximum reliability and the best performance by use of the highest quality materials coupled with the latest production technology. DUCABIKE is synonymous with passion for motorcycles and in a special way with Ducati bikes. We are passionate about motorcycles as well as classic cars, hot rods and anything that goes fast or is fun automotive wise. New Arrivals. rms & Conditions We are not perfect but we will provide you with outstanding service before, during, and after the sale. Handlebar Accessory Mount Bracket. Add To Favorites. Provides a perch for accessories.